El Futuro has recruited an expert team of dedicated clinicians. El Futuro’s bilingual staff provides culturally appropriate care in a professional environment, where clients are treated with dignity and respect. Lauren Albert, a North Carolina native, first came to El Futuro as a volunteer while studying Psychology and Spanish at UNC-CH. Lauren lived in Mexico for a year where she developed a love for tacos al pastor and Latino culture. Afterwards, she earned an MA in Clinical Psychology while living and working in the Chicago area. More recently, married life has taken her on adventures to Ohio, Texas and Durham. 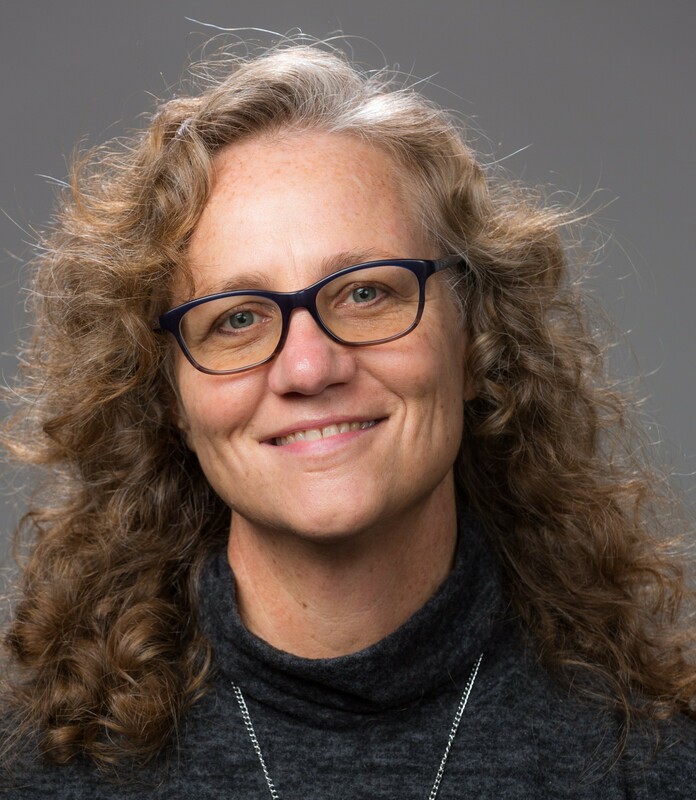 Her professional experience includes supporting families in early childhood programming, counseling in community-based mental health clinics, connecting primary care patients to community resources and diagnostic assessments for children and youth. The approaches to counseling that she has found most helpful include cognitive-behavioral therapies, family systems approaches, experiential therapies and trauma-informed treatment approaches. She believes that while no person or family is anywhere close to perfect, all individuals and families have innate dignity, worth and potential. She aims to non-judgmentally listen, care for and counsel individuals and families with respect and compassion toward health, well-being, gratitude and joy. She loves the good work being done at El Futuro and is grateful to be a part of the team. 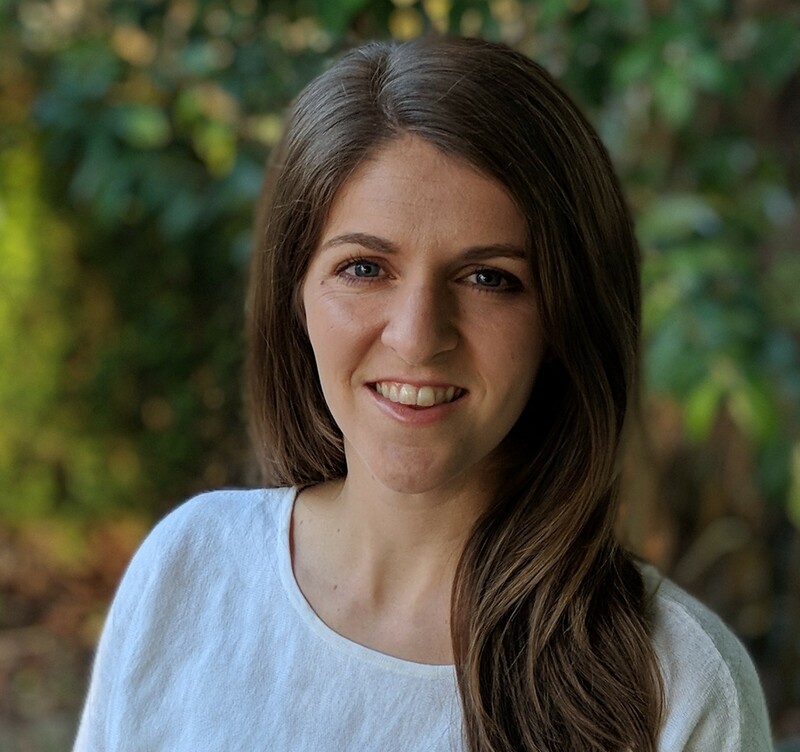 Lauren has special training in video-based counseling services and is currently working remotely providing video-based behavioral health services to NC farm-workers and their families. Christa has lived many places including Minnesota, Colorado, Manhattan, Costa Rica and Chile but has now lived in North Carolina the longest and calls it home. Christa has been a clinician for over 10 years and brings her awareness as a yoga instructor to her work with clients. She specializes in working with young children, adolescents and families with trauma, abuse, anxiety and depression. 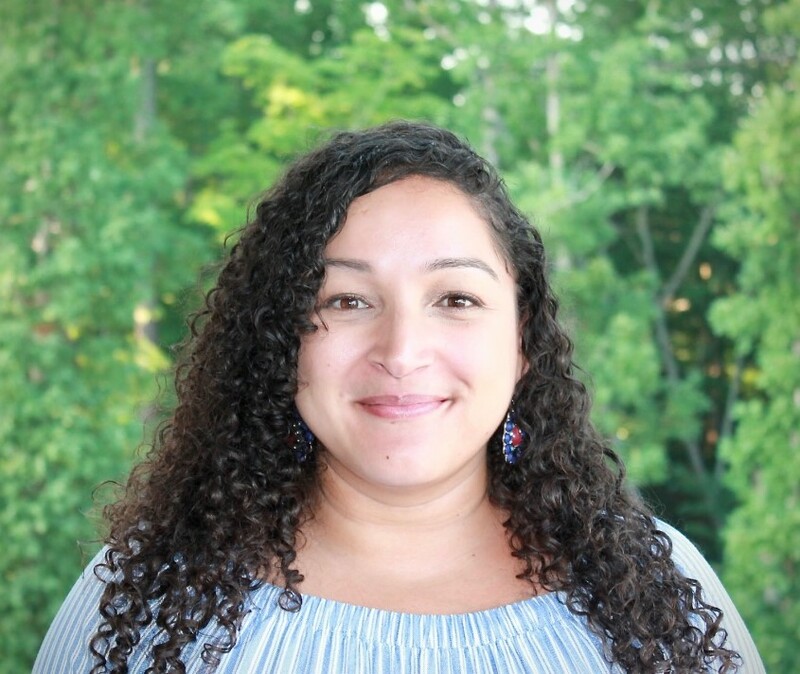 She has worked with court-involved youth in juvenile justice, traumatized and behaviorally challenged adolescents in a residential treatment center, and as the lead Clinical Social Worker in a Robert Wood Johnson funded program targeting mental health for Latinos in Durham’s elementary schools. She received her BA in Durango, Colorado and her Master’s degree in Social Work from UNC Chapel Hill. At El Futuro Christa has lead parenting classes, groups for teens and currently leads a weekly MBSR class in Spanish. When not working, you might see Christa practicing or teaching yoga, dancing, or out and about with her kids…and sometimes all of these things at the same time. Xochitl joined us two years ago as a Partners for Youth Opportunity intern, where she first heard about El Futuro. 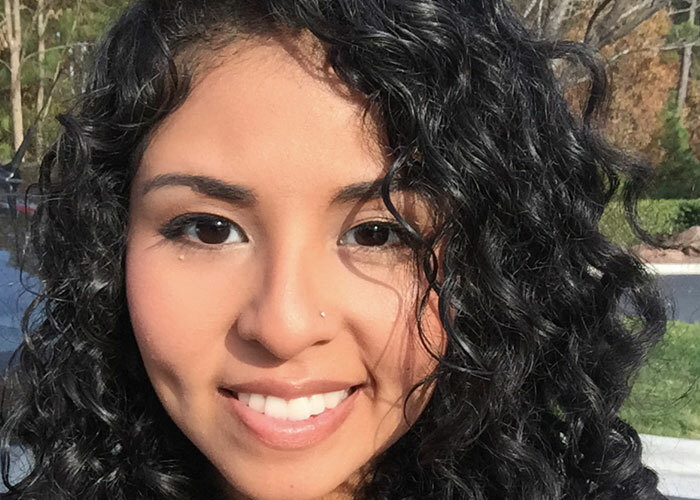 Beginning as a volunteer, Xochitl’s role at El Futuro has grown to Executive Assistant. She was born and raised in Durham to Mexican parents and currently attends Durham Technical Community College for her associate degree in Science. 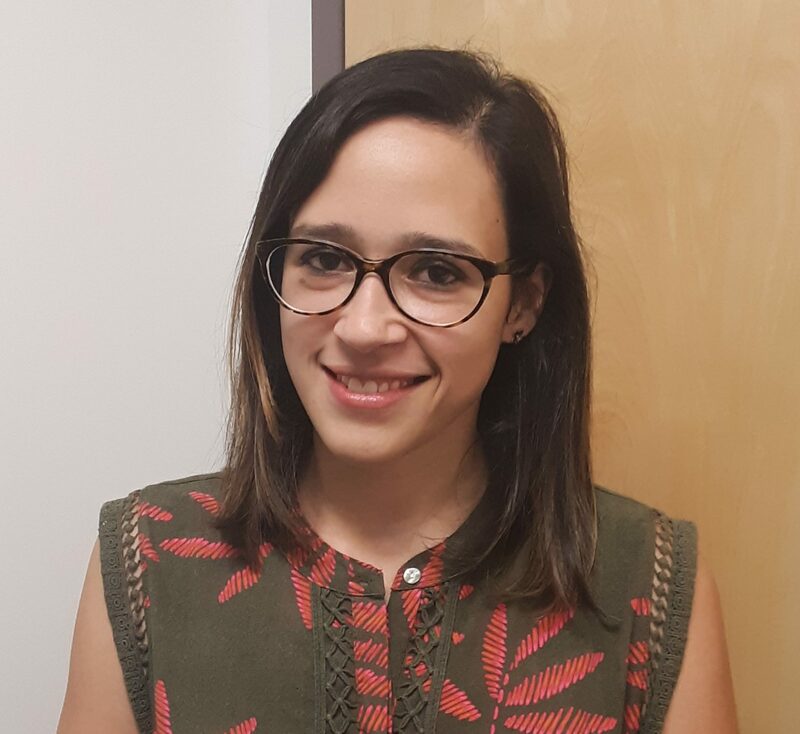 Xochitl is interested in the medical field and is considering a career in audiology or — like our Executive Director, Luke — psychiatry. When not studying (which seems like her biggest hobby lately!) Xochitl loves spending lots of time with her family and enjoying art and food. Sofia is originally from Portland, OR. She relocated with her family to North Carolina in 2007 and has called it her home ever since. 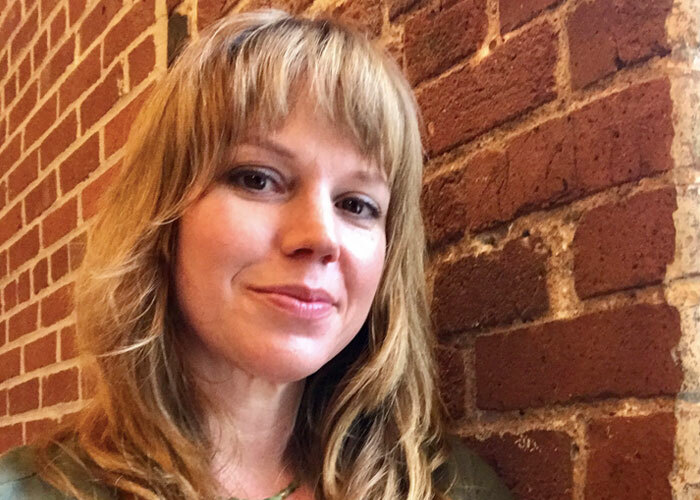 Sofia studied Psychology at UNC Chapel Hill, and while there, she worked as an editor for two publications and honed her skills in newspaper and magazine writing and photojournalism. Sofia has always been interested in the healthcare field, and now has her eyes set on a future as a mental health clinician. Sofia’s father is from Argentina and so she speaks some Spanish but looks forward to practicing more as a Futurista. She’s excited to help make a difference in our community by supporting the work we do for the Latino families we serve! When Sofia isn’t at work, she loves to cross stitch, cook, play guitar, hike, and hone her Spanish skills. Molly lived in the Dominican Republic for several years as a child, but is native to Asheville, North Carolina. She has degrees from rival North Carolina universities: UNC-Chapel Hill (BA in International Studies) and North Carolina State University (Master’s in Counselor Education with specialization in Clinical Mental Health Counseling). Molly has been connected with El Futuro since it’s inception when she worked as a volunteer along with other caring and dedicated people to help bring the dream of El Futuro alive. In 2011 she joined El Futuro as a full-time clinical counselor. In counseling with her clients she uses her training in attachment based therapies, person-centered therapies, trauma processing therapies and mindfulness based practices to help facilitate healing and growth. Molly also has advanced training in clinical supervision and is a Licensed Professional Counselor Supervisor (LPCS). She provides clinical supervision and guidance and is also part of the programming and administrative team at El Futuro. She loves the diverse and creative ways she is able to bring to the mission of El Futuro to life through the various roles she fills. 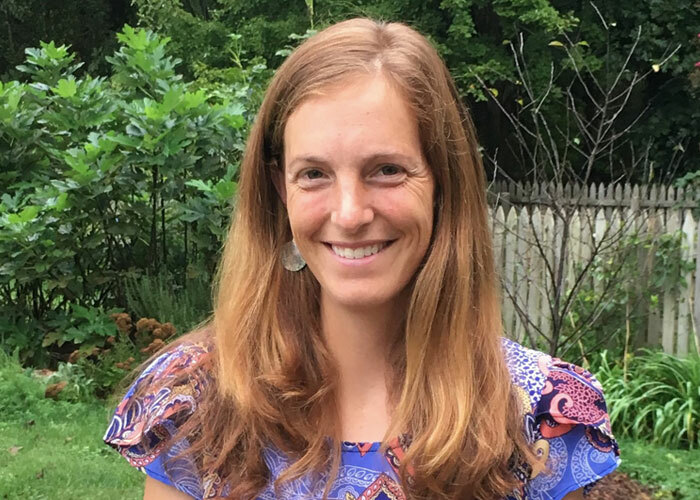 When not at El Futuro, Molly enjoys exploring food, culture and the outdoors with her husband, taking movement classes at the YMCA, cooking and eating healthy food and getting lost in a great book. Mary Jones is from Urireo in Salvatierra, Guanajuato and moved to the United States in 2005 (December 12, to be exact). The first time she left her small hometown was to attend university at Instituto Tecnológico de Celaya, where she graduated with a degree in computer systems engineering. After arriving in the U.S., Mary was touched to see that she was still surrounded by all her people — she felt at home. She decided she wanted to do everything she could to help the immigrant community here, because not only had she grown up hearing about all the struggles immigrants faced, but she herself then experienced how hard it was to adjust after immigrating. At her previous job at Orange County Head Start — Early Head Start as an ERSEA (Eligibility, Recruitment, Selection, Enrollment, and Attendance) Coordinator, Mary focused for 11 years on being in touch with families, working with community agencies, coordinating referrals and making sure the program met all performance standards. Mary enjoys spending time with her husband, 11 year-old son, and 8-year-old daughter in nature; keeping in touch with her mom; volunteering at church; and reading. 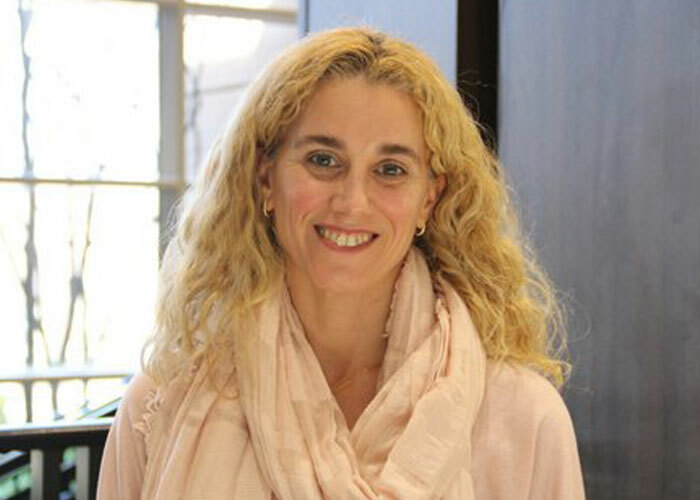 Marita moved to the US eleven years ago from Argentina where she completed her Psychology studies (MA degree) and practiced psychotherapy for 10 years. In her practice there she worked in public hospitals and private practice helping mostly adults and seniors. Her training is in Cognitive Behavioral Therapy, in an Integrated Model of Psychotherapy and also in Neuropsychology. As soon as she moved to the US, she worked with us as a volunteer for a year and then she continued helping off and on over the last several years volunteering to help with special cases. Additionally she finished her PhD in Psychology and became licensed in North Carolina! She loves working at El Futuro and helping the Spanish-speaking population living here in North Carolina. Dave is a North Carolina native who has lived in Durham since 1996. He received a Master’s of Divinity from Union Seminary and a Master’s of Accounting from UNC’s Kenan-Flagler Business School. He went back to school and became a CPA with the goal of managing the finances of a non-profit. 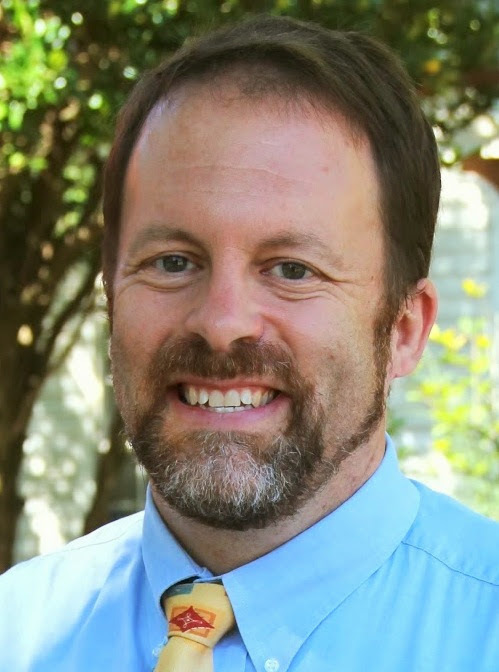 Dave has fifteen years of work in the local non-profit community, including seven years as an Executive Director. He is an active volunteer in Durham and is currently the treasurer of two community organizations. Dave has been El Futuro’s Finance Director since 2013. 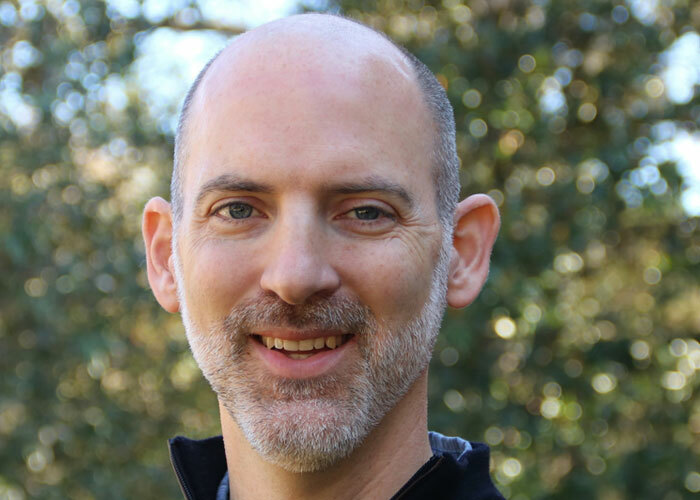 When Dave isn’t crunching numbers he enjoys hiking with his wife and two daughters, reading, going to Durham Bulls games, and studying Spanish. Originally from California, Courtney began learning Spanish during her time pursuing her undergraduate degree at UCLA. Upon graduation, Courtney moved to Argentina, where she spent seven years working with university students and helping to develop projects to benefit rural Andean communities. During her time in Argentina, Courtney’s interest in mental health and social advocacy grew. 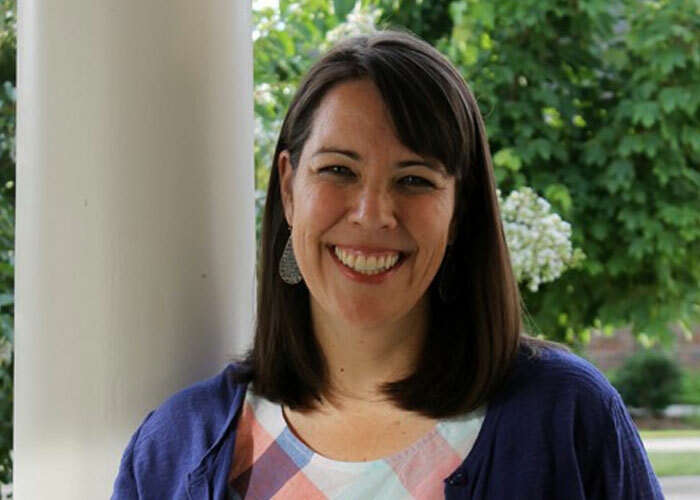 Relocating from South America to the American South, Courtney obtained a Masters degree in Social Work from UNC-Chapel Hill. She has been part of the El Futuro team since 2013, and is grateful for the time that she is able to spend with clients and colleagues as a therapist and a clinical supervisor. With advanced training in treating trauma in children and adults, she serves clients who are facing many different difficulties. She has described her time with clients (and the trust that they give her) as a unique gift, one that impacts and influences her every day. Courtney’s favorite hobby is exploring, particularly when mountains are involved. Megan Robertson grew up on the eastern shore of Maryland and lived in Charlottesville and Milwaukee before moving to Durham in 2011. Prior to her time in Durham, she worked as an IT Consultant for MillerCoors Brewery where she helped them install a new pricing software. 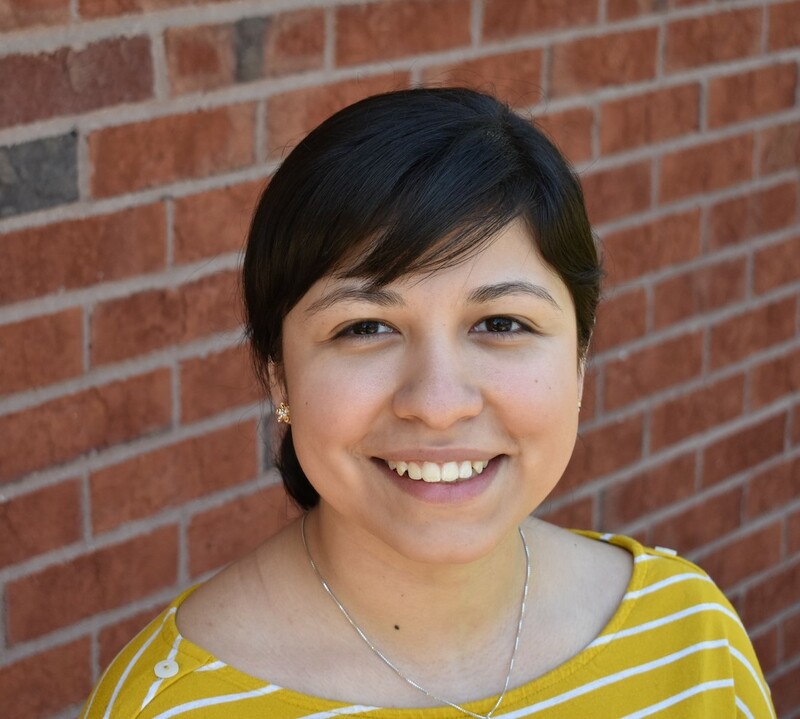 Her love of details, organization, and coordination provided a good transition into the project manager role for La Mesita – our new and growing North Carolina Latino Mental Health Provider Network. She also spent a year as a travel coordinator, where she further developed her love and appreciation for exploring cultures around the world! She has been practicing her high school Spanish skills with her young daughters, both of whom have now mastered the phrase ‘Mas leche por favor’! When not drinking milk with her daughters, she loves to hike, garden, and enjoy good food with friends and family. 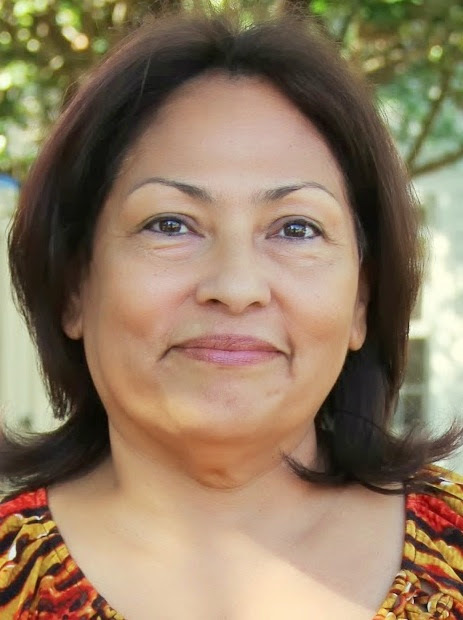 Victoria Romero is the Case Management Lead and an outpatient therapist at El Futuro. She earned a BA from George Mason University, an MA from Union University, and an M.Ed. from North Carolina State University. Prior to joining El Futuro in October 2017, she was an elementary school counselor in the Wake County Public School System. She then decided to focus her career on providing direct services to the Latino population. 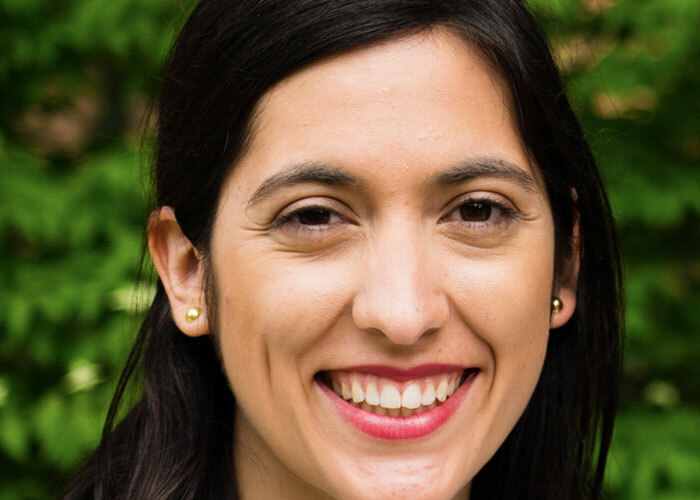 Because she is passionate about promoting mental health by providing holistic care for Latino individuals and families, she co-created an in-house case management program, Conexiones, for El Futuro clients. As the Case Management Lead, she represents El Futuro at community and partner agency meetings in Durham, Chatham, and Orange counties. As a clinician, her areas of interest and experience are in identity, relationships, anxiety, depression, coping skills, individual growth, suicidal ideation, parenting best practices, and mindfulness. Victoria takes pride in being the only Guatemalan representative at El Futuro. When she is not working at EF, she enjoys practicing yoga, watching a good Netflix series, and spending time with her husband and two adult daughters. Ismael was born in Los Angeles, California but moved to Chapel Hill, NC when he was 5 years old. Both of his parents were born in Mexico and they raised their children to be fluent in Spanish. Ismael studied Psychology as an undergraduate at UNC-Greensboro and then got a Master’s degree in Mental Health Counseling from Gardner-Webb University. It has always been a goal of his to help the Latino community. It is an underserved population and he feels that he can make a difference in people’s lives. Growing up Ismael didn’t see a lot of Hispanic professionals who could serve as role models but he wants be one to the next generation. When he’s not at El Futuro Ismael loves to spend time with his daughter and wife, play soccer, watch sports, and occasionally play computer games. 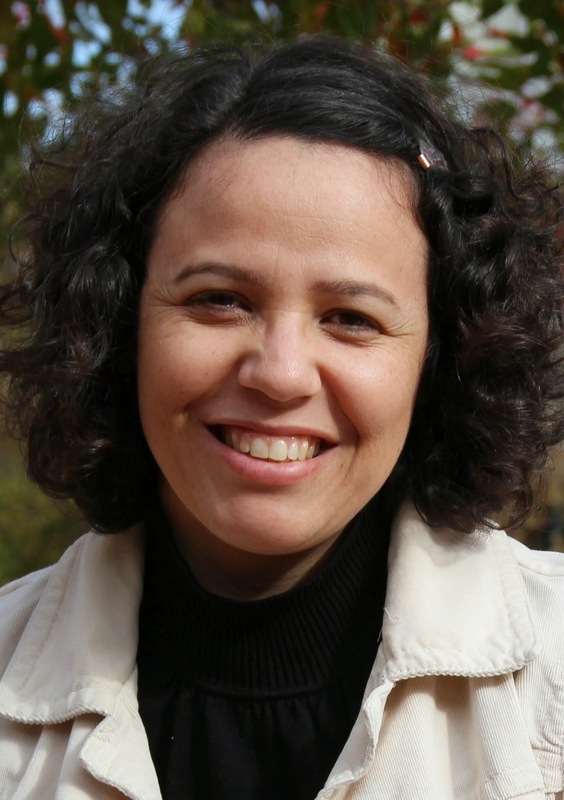 Roxy Toledo, LCSW, was born in New York and moved to Apex, North Carolina when she was eight. Her parents are from Peru, so she grew up speaking Spanish at home. She majored in Psychology at UNC-Greensboro and, before attending UNC-Chapel Hill for her Masters in Social Work, worked as a preschool teacher for four years. During the first year of her master’s program she interned at El Futuro, and then with Chatham County Schools at the elementary, middle, and high school level. She has therapy experience in various settings such as intensive in-home therapy and school-based mental health. She said she’s always wanted to give back to the Latino community and social work encompasses a wide breadth of work you can do in the community. She witnessed not only the lack of access to certain resources in the Latino community but also a lack of representation in teachers, doctors, and mental health therapists — she wanted to change that. In her free time, Roxy enjoys yoga; meditation; spending time with her husband, dogs (fur children), friends, and family; and trying new restaurants. Alvely was born in the Dominican Republic, and moved to New York City when she was six years old. Alvely has lived in NC since 2006 after her husband joined the military. After moving to North Carolina, Alvely completed her Bachelor of Arts in Psychology, and then obtained a Masters in Social Work concentrated in Mental Health and Military Social Work. Alvely is passionate about social justice and mental and emotional health, especially in the Latino community. She believes that teaching individuals to identify and change unhealthy thought patterns and develop self-compassion and self-awareness is one of the most important skills she can teach clients. 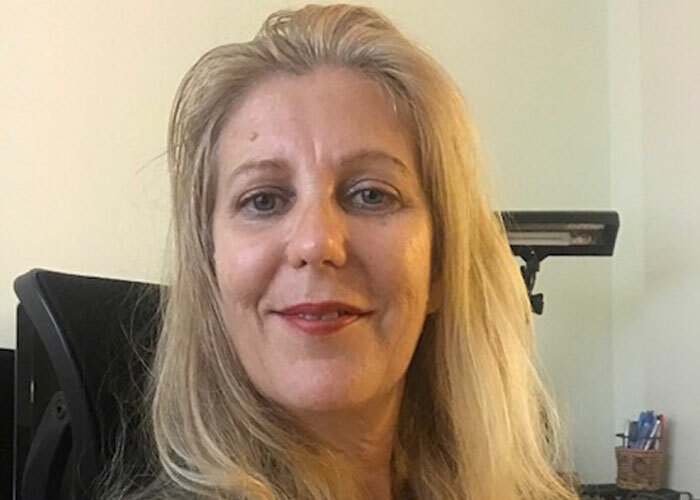 Alvely utilizes a person-centered approach in combination with body oriented treatment modalities such as mindfulness, self-compassion, guided meditations, breath-work and techniques from her training in EMDR, CBT, CPT, Motivational Interviewing and DBT. She believes that her role as a therapist is to listen with intention and compassion as this can create emotional healing and that connection to others and to ourselves can improve the mental and emotional well-being of all involved. In her free time, Alvely likes to spend time with her husband and loved ones, reading, writing, listening to music, and having deep conversations about the complexities and richness of life experiences. Ennis grew up in New York City and Western Massachusetts but had family in Georgia and Texas, so spent a lot of time in the south. Growing up, her father worked as a writer and a humorist so she was surrounded by progressive, creative, funny, intellectuals and spent lots of time doing New York City things. Spending time in New York City, rural Massachusetts, and suburban Georgia and Texas in the 70’s and 80’s enhanced her capacity to adapt and exposed her to differences in a very positive way. Ennis went to college planning to be a pediatrician or obstetrician but finished with a Bachelors in Developmental Psychology from Stanford University in 1988, and then worked at an innovative, 24-hour child care program in the Bayview/Hunter’s Point neighborhood of San Francisco. She was the only white teacher at that center with a staff of 35 and is so grateful for the opportunity to have been immersed in Black and Latino culture so early in her career. That experience solidified her decision to become a social worker so she could work with families who are at risk in their homes and communities. She moved to Chapel Hill to get her MSW at UNC in 1990 and has been working in NC ever since. As the Orange County Head Start/Early Head Start Family Partnership Manager & Mental Health Specialist, she has been referring Orange County parents and school-age kids to El Futuro since it opened. She knows well what a glowing reputation EF has in the Latino community in Orange County. She is honored to help launch the new La Mesita Network and bring her experience as a trainer, mental health professional, manager, collaborator and problem-solver to help El Futuro and La Mesita enjoy continued success. When Ennis isn’t working she likes exercising, hiking, checking out local craft breweries, and paddle boarding. Elizabeth was born in Raleigh but moved back and forth to Mexico while growing up, speaking Spanish as her first language. She ended up back in Raleigh for her undergraduate studies at Meredith College where she studied Macro Social Work — focusing on organizational work, planning, and grant writing. As an undergraduate, she completed an internship at Triangle Down Syndrome Network, where she did database management and planned community events. Being Latina herself, Elizabeth was inspired to go into Macro Social Work because of the volunteer work she engaged in and the experiences of those close to her. In her free time, Elizabeth enjoys running and strength training — she’s now training for 5K races in the hopes to one day participate in a marathon. She also enjoys reading and plants. Carrie is a hard worker and someone with a big heart for others. She grew up in Asheboro, NC, and attended UNC-G where she earned a BA in Theology and later earned a BA in Spanish from UNC-W. Carrie also has a Diploma in Translation and Interpreting from Cape Fear Community College. As the Medical Assistant she supports our psychiatrists by helping with a range of duties from checking up on students in schools to making sure patients get their medications. In her free time she enjoys many activities like dancing, playing the guitar and writing songs, cooking, and even surfing! Kiara was born in Puerto Rico and moved to Chapel Hill when she was in her early teens. She just graduated from UNC Greensboro in May with a degree in Psychology. Kiara said Psychology was always around her house with her mother working in the mental health field, and it made sense to go into the field because of that. Right now Kiara is interested in child psychology, and is excited to use this time after earning her undergraduate degree to explore all the options in mental health care she’s interested in. Besides her interest in psychology, Kiara is also a lover of animals and has lots of animals at home — including a snake and frog! Kenia was born in the Dominican Republic and moved to Puerto Rico after high school in order to attend the University of Puerto Rico. She graduated with a degree in Criminal Justice, minor in Forensic Psychology and associate degree in Education. She has over six years of experience as a substance abuse counselor. 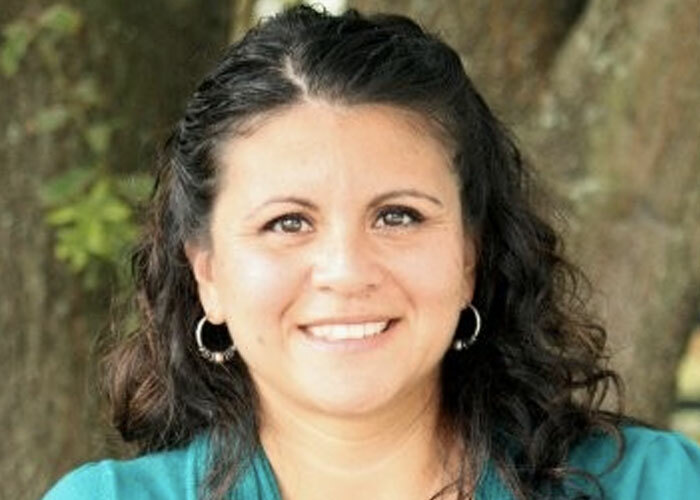 She also has served as a Hispanic community parent liaison in the Wake County School System. Jailene was born in Puerto Rico and moved to North Carolina when she was four. She received her BA from UNC-Chapel Hill in Psychology and her MA in Clinical Mental Health Counseling and Art Therapy from Lesley University in 2017. Prior to working at El Futuro, Jailene provided group, individual, and milieu art therapy in Chapel Hill, Carrboro, and Durham public schools through the Art Therapy Institute (ATI). At ATI, she worked with the Newcomer’s program, serving immigrant and refugee students and the Exceptional Children’s program, serving students with developmental disabilities. She also worked with children and adolescents with eating disorders during her first year internship at Veritas Collaborative. Jailene is a trained domestic violence advocate through Compass Center for Women and Families and worked as their Latinx Support Group Coordinator. In 2017, she received a grant to facilitate a Spanish-language art therapy group for Latino survivors. In her spare time, Jailene enjoys making art, shopping, and spending time with her dog, Leo. Juan Prandoni was born in Argentina and moved to Winston-Salem when he was 10. He did undergraduate studies at UNC-Chapel Hill and then entered UNC-Greensboro’s Clinical Psychology PhD program after taking some time off to backpack through Patagonia and live in NYC. He has a strong ethnic identity as an Argentine, so he has been militant about maintaining his Spanish language, using it during his clinical work. When Juan was 18, he did an internship in the child and adolescent inpatient unit at Wake Forest University Baptist Medical Center, which pushed him toward wanting to work with more severe mental pathologies. This experience also made him want to shoot for a PhD. Before coming to El Futuro, Juan completed his predoctoral internship at Trinitas Regional Medical Center in Elizabeth NJ. In his free time, Juan enjoys playing and watching soccer — he’s a huge Liverpool fan — backpacking, and hanging out with his cats, Francis and Clara. Sarelli feels all of her experience from growing up in Peru to finishing her Masters in Health Administration at UNC prepared her to be our Operations Director and get to do her “dream job!” Sarelli was born in Peru before moving to Chapel Hill during high school. After graduating from ECU with a degree in Psychology and minor in Biology, she earned her Masters in Health Administration from UNC-Chapel Hill while working full time at the Carolinas Cord Blood Bank. She came to know El Futuro through volunteering and so was already part of our team before she joined El Futuro’s staff in the late summer of 2010 as our Clinic Manager. She later was promoted to Director of Operations. Her commitment to the Latino community is obvious in every interaction. Sarelli makes families feel welcome and quietly does the heavy lifting behind the scenes to make the impossible happen every day. In her spare time she can be found with her family and listening to music! 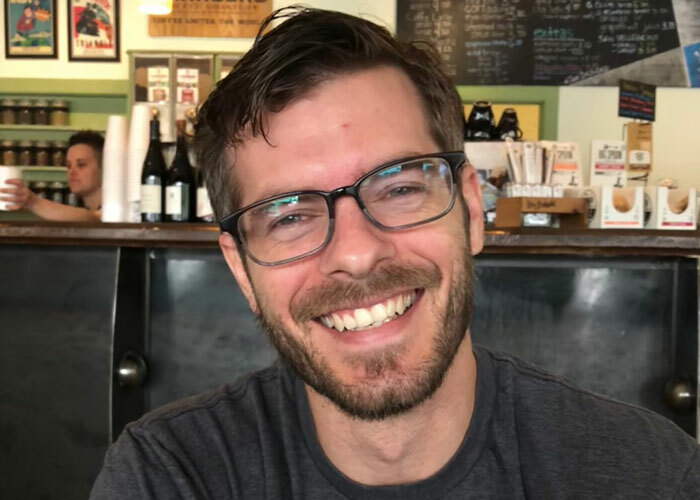 Luke Smith was raised in Arkansas and moved to North Carolina for training in child and adult psychiatry. After volunteering in the community and perceiving a great need for Spanish language services, Dr. Smith mobilized the community to create El Futuro. He is the Executive Director and Medical Director, and provides psychiatric care to both children and adults. Each year, he and his staff provide services to 1,500 – 1,700 children and families who come for help. He is double board certified in both adult psychiatry and in child and adolescent psychiatry. 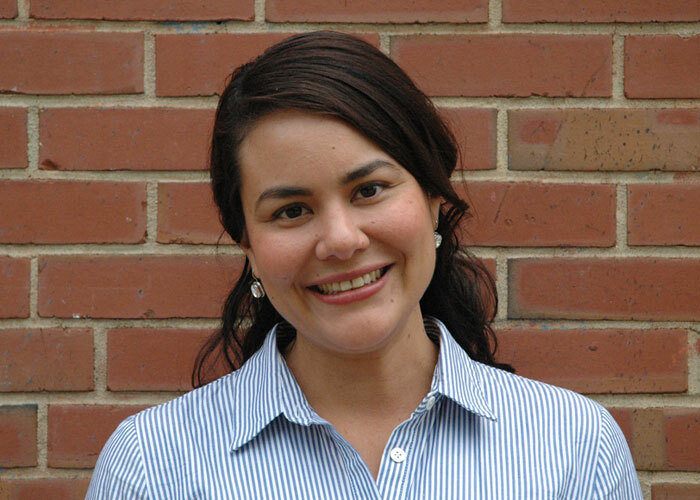 In addition to being active with direct services and shaping policy at the local and state level, Dr. Smith leads the organization in research efforts through projects funded by the NIMH and PCORI with a focus on creating evidence based practices that are especially targeted to help the North Carolina Latino Community. Originally from Wisconsin, Lynn lived in Mexico City for four years prior to moving to North Carolina. In Mexico, she taught in a graduate counseling program and volunteered with a non-governmental organization focused on sustainable development in rural areas. As a professional counselor, Lynn has worked with individuals across the lifespan and in multiple contexts. She uses cognitive behavioral therapies, mindfulness practices, and trauma processing therapies in supporting children, adolescents, and adults toward improved mental health and wellness. Lynn has a doctorate in Counseling and Counselor Education from North Carolina State University, and a master’s degree in Counseling and Career Development from Colorado State University. She is a Licensed Professional Counselor in North Carolina and a National Board Certified Counselor. In addition to the heart-filled work that she does at El Futuro, Lynn loves spending time with family and friends, keeping active outdoors or at the Y, exploring the local cultural arts scene, and trying out new recipes. Mariana came to the US from Costa Rica ten years ago. This makes her the only Costa Rican on our staff. When she heard of the opportunity to work at El Futuro, she jumped at the chance, thinking “This is what I was thinking ever since coming to the US but I didn’t know how to do it!” Mariana speaks with gentleness and kindness as she welcomes people who come to El Futuro. In her spare time away from El Futuro she enjoys drawing, photography and walking with her family in nature. Kerry was born and raised in a small town in East Tennessee, where she learned to appreciate the free feeling of running through pastures and wading in creeks. She developed a passion for working with underserved populations while in high school, which ultimately led her to earn a BA in Sociology from the University of Tennessee – Knoxville, and then a Master of Public Affairs from Indiana University – Bloomington. 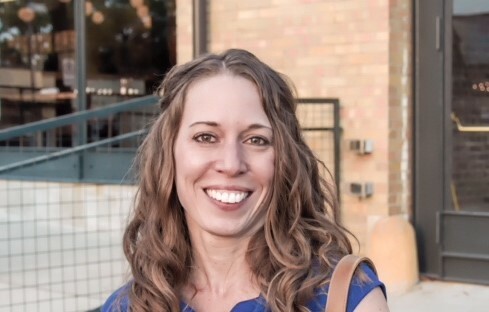 Over the last 15 years, she has had the opportunity to support the fundraising efforts of a variety of nonprofits serving diverse populations and needs, from Native American education in South Dakota to community health clinics in Chicago, and has been extremely fortunate to work with phenomenal colleagues at every step along the way. She is excited to continue this tradition with El Futuro, with a keen interest in supporting the mental health needs of our community. When Kerry isn’t at El Futuro, she can be found playing with her kids, watching The Great British Baking Show or UK Basketball, struggling through CrossFit, or reading. Mary is from from Caracas, Venezuela’s capital. After she got her degree in International Relations from Universidad Central de Venezuela, she worked in the Department of International Affairs of Venezuela as Director’s Assistant in “Instituto de Altos estudios Diplomáticos Pedro Gual.” Here in the USA, she was a GED instructor in Spanish for 7 years at Durham Tech and also worked as a bilingual assistant manager in residential business for almost 7 years in the RTP area. Mary’s love for helping the Hispanic community brought her to El Futuro. Her cheerful personality and work ethic make her an asset to our organization. In her free time she enjoys zumba, running and spending time with friends. Connie Garcia is the Clinical Assistant who first greets most callers and visitors to El Futuro. She is of Nicaraguan descent and grew up in Puerto Rico and Philadelphia. 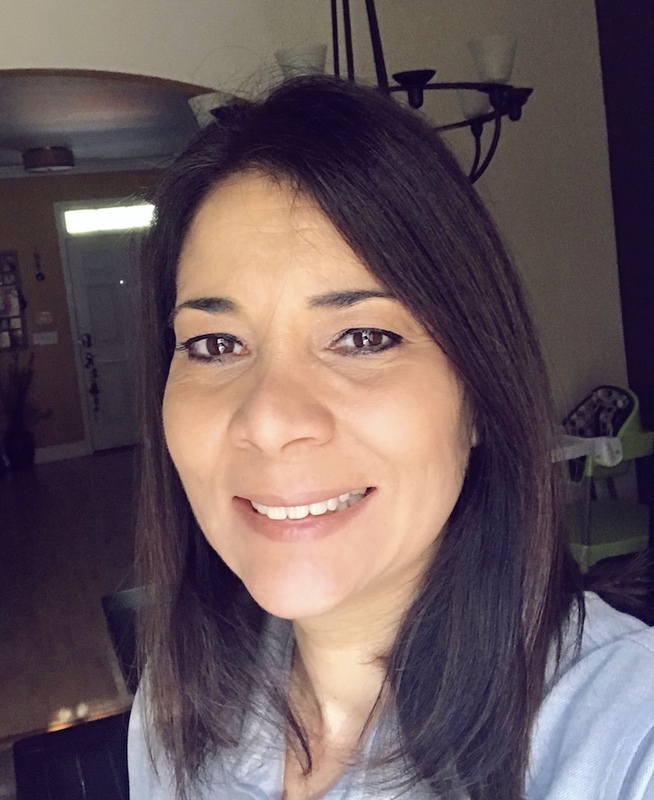 A licensed cosmetologist and legal secretary, Ms. Garcia has a wide variety of experiences including organization, customer service, home health work, supervision, electronics, and site maintenance. Ms. Garcia is a proud grandmother and is active in her church community and extended family. Jenna brings her creativity and compassion to her work as a therapist at El Futuro. 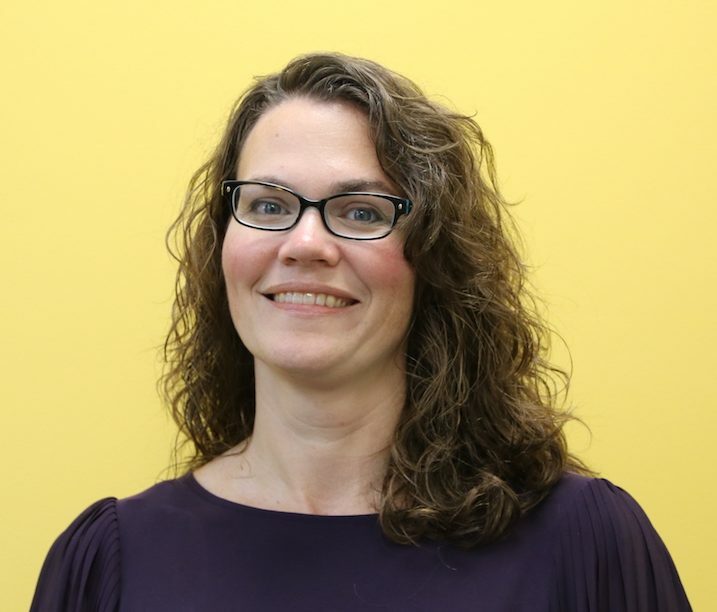 Jenna is a board-certified music therapist (MT-BC) with her bachelor’s in Music Therapy from Appalachian State University and Masters of Social Work from North Carolina State University. She considers herself a lifelong learner, and finds that she learns something from every client she meets. She takes a holistic approach with clients, pulling from expressive arts interventions, somatic therapies and cognitive therapy techniques. Jenna is one of the only certified Trauma Center Trauma Sensitive Yoga-Faciliators (TCTSY-F) in North Carolina. She is especially passionate about group therapy and helps coordinate the group therapy program at El Futuro. Originally from Durham, she learned Spanish while volunteering at Centro Arte para la Paz in El Salvador where she taught English, yoga and music. In her free time, Jenna can be found exploring local hiking trails, doing yoga, playing her guitalele or writing spirited songs. Kelly Morales was born in Nicaragua and received her Bachelors and Masters degrees from the University of North Carolina at Greensboro. She has been involved in immigrant rights over the state for the past five years, which helped channel her passion for working with the Latino Community. While doing this work, she noticed a great need for behavioral and mental health services in the community. Before coming to El Futuro, Kelly directed a Latino Family Center which coordinated with organizations around the state to try to improve the lives of immigrant families. One of the organizations she partnered with and referred individuals to was El Futuro, and she is now excited to be able to work with an organization that directly addresses healing within the Latino Community. In her free time, Kelly enjoys traveling, trying new foods, and journal writing. Jessica was born in Querétaro, México and relocated to Raleigh with her family when she was nine months old. She is a native Spanish speaker, speaking only Spanish in the home until she began school. She saw first-hand how hard it was for her family to navigate social service systems after immigrating from México, and was the member of her family who helped translate for them. It was because of this that she realized there was a great need for bilingual people in the social services. Jessica received her Bachelor’s in psychology with minors in business and Spanish from Meredith College and her Masters in Social Work from UNC-CH. She chose social work because of the social justice and empowerment component that is sometimes missing in psychology practice. She wanted to be able to use her bilingualism to assist the Latino community in a way that also empowered them. She just finished her internship at Carolina Outreach and heard about El Futuro from a friend who completed their internship here last year. In her free time, Jessica enjoys strength training exercise, playing with her chihuahuas, Princess and Ava, and listening to music. Cecilia was born and raised in Guayaquil, Ecuador. 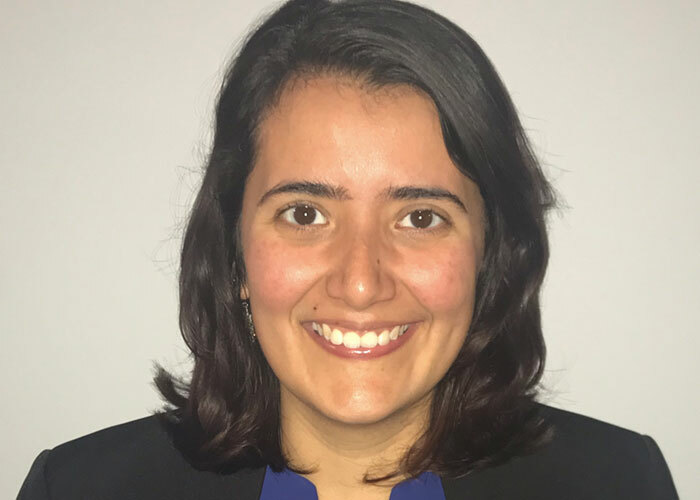 After finishing medical school at the Universidad Catolica de Santiago de Guayaquil, she came to Durham to begin her training in Psychiatry at Duke University. During her residency she was interested in community mental health. She began her work with El Futuro first as part of an elective program through Duke. During this time she realized how much she enjoyed being able to work with our Latino community and being able to both express herself in her native language and connect to clients in theirs. 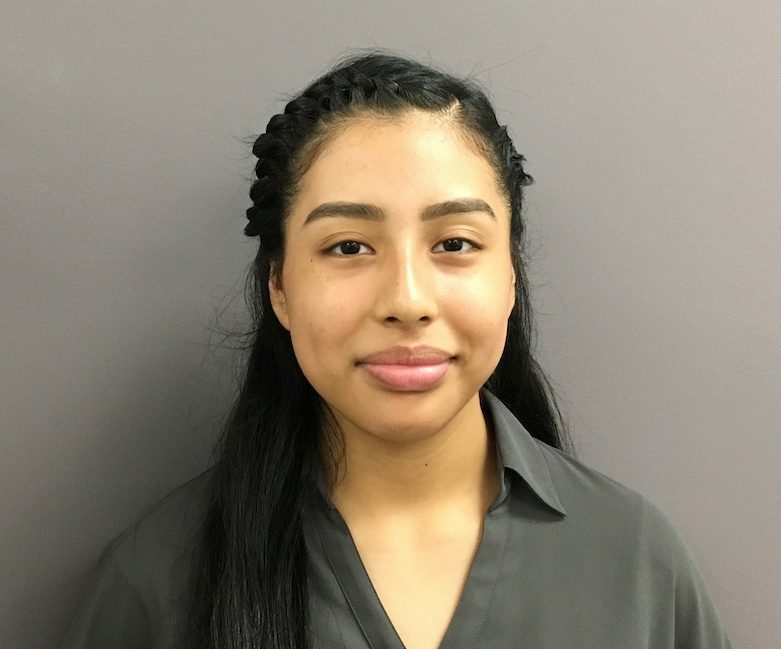 When Cecilia isn’t working at El Futuro, she enjoys playing different sports, traveling, and checking out new local restaurants. Sarah grew up in Julian, North Carolina, a rural area south of Greensboro. She attended Warren Wilson College near Asheville, NC where she earned a BA in Environmental Studies. After college, she took the scenic route and lived and worked in different parts of the U.S. and spent a couple years teaching English in Madrid, Spain. She earned a Master of Social Work at the University of North Carolina at Chapel Hill in 2017. As a graduate student she also studied K’iche’ Maya, an indigenous language of Guatemala. Sarah has received training in Trauma-Focused Cognitive Behavioral Therapy, which is a type of treatment used to treat trauma in children. Her therapy practice also incorporates techniques from Cognitive Behavioral Therapy, somatic experiencing techniques, and trauma-informed and mindfulness-based interventions. She works at El Futuro’s primary clinic in Durham and also at A.L. Stanback Middle School in Hillsborough, where El Futuro provides school-based therapy. When she’s not at El Futuro, she may be spending time with her family and friends, cruising around on her bike, hiking along the Eno River, or experimenting with a new food recipe. Dalila started working at El Futuro two years ago and has been an integral part of our front desk team ever since. She grew up in Puerto Rico and Colorado Springs, and remembers wanting to be a teacher when she was younger. When she got a little older, Dalila’s dream was to be a social worker, and she worked in social services in Colorado Springs and Durham. When Dalila first heard about El Futuro she realized its mission was close to her heart. She was interested in learning more about the world of nonprofits and loved that El Futuro helps the Spanish-speaking community in Durham. She said this is a place she hopes to grow old in. In her freetime, Dalila adopts whatever her kids’ hobbies are in the moment, but also likes to take “me time” to dance and swim. Magdalena grew up in Santiago, Chile, where she received her undergraduate degree in psychology at Universidad Catolica de Chile. After graduation, she worked with at-risk children and adolescents, using a systemic perspective. Seeing the need to understand her clients in a bigger context, Magdalena moved to College Park, MD to pursue an M.S. in Couple and Family Therapy at the University of Maryland, where she worked with families, couples, and individuals from diverse backgrounds. In her work she has used a number of therapeutic approaches, and has come to believe that a central aspect of therapy is the relationship between the therapist and the client, emphasizing the therapist being nonjudgmental and compassionate. When she is not working, Magdalena can be found reading novels, cooking vegetarian dishes, or going for a run. Luis was born in Lima, Peru and immigrated to Sanford, NC at age 9. He graduated valedictorian from Southern Lee HS and then attended the University of North Carolina at Chapel Hill, obtaining a BA in Psychology. 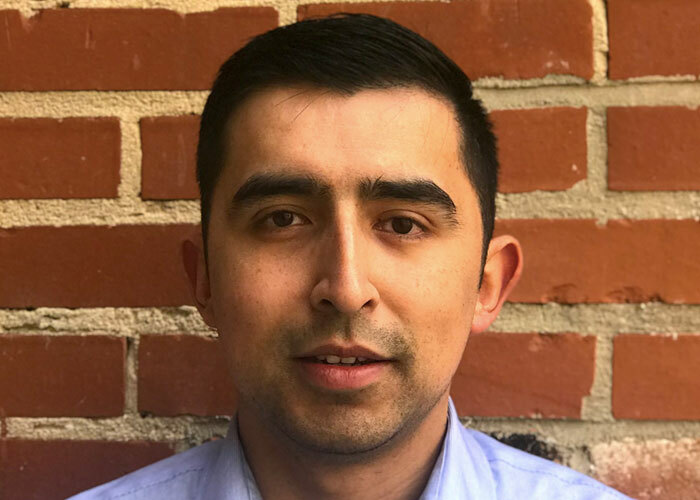 Luis began his work with El Futuro as an administrative assistant in August of 2015, was promoted to Clinic Manager in early 2016, and most recently started providing case management services as part of our Conexiones team. Luis strongly identifies with El Futuro’s mission and is happy to facilitate the process of providing the Hispanic community with beneficial services and links to community resources that are otherwise not easily accessible to them. Luis believes that, even though inequality is an inescapable feature of society, El Futuro is a prime example of how a positive difference toward justice and equality can still be made. In his free time he enjoys listening to music, watching soccer, and being out in nature.